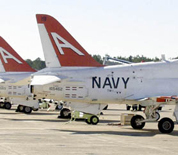 Naval Air Station (NAS) Meridian is located in Meridian, Mississippi and serves as a key location for Navy tactical jet pilot training and produces fifty percent of the Navy's jet pilots via Training Air Wing One. The Wing conducts training operations flying the T-45 Goshawk. The city of Meridian experienced a Golden Age during the early 20th century and the districts of that era are still in existence today. The city boasts nine historic districts on the National Register of Historic Places and numerous historical structures including the Highland Park Dentzel Carousel. This NAS Meridian directory features the critical info you’ll need to navigate through the many facilities and recreational opportunities available on base.